Haunted houses and abandoned factories were once all the rage when it came to hip trends in real estate, but this latest conversion property style will really – ahem – blow you away. 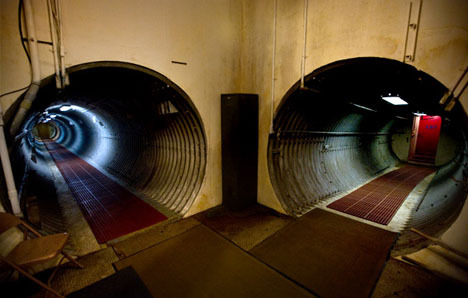 Decommissioned missile silos across the U.S. are being converted to residential properties. One such silo in Kansas is being converted into luxury condos that can withstand a nuclear attack. The units, which start at $3 million, come with access to the development’s 17-seat movie theatre, dog park, swimming pool and gym. Plus, there’s the added benefit of remaining filthy rich (and alive) while the apocalypse goes down just upstairs. For the rest of us plebs, there’s the decommissioned silo in Roswell, New Mexico (yes, the same Roswell that’s home to a UFO museum). That property, which already has a sale pending, was listed for just $295,000. However, it requires a lot of renovations, and doesn’t come with some of the amenities that the luxury condos do – such as windows that play a computer-generated outdoor scene to distract you from the fact that you’re living in a decommissioned missile silo. Join the conversation: what’s the strangest property you’ve ever sold?